Thomaspekingese.com is not a puppy breeders website and this is not a review of Thomaspekingese.com. This is a warning. 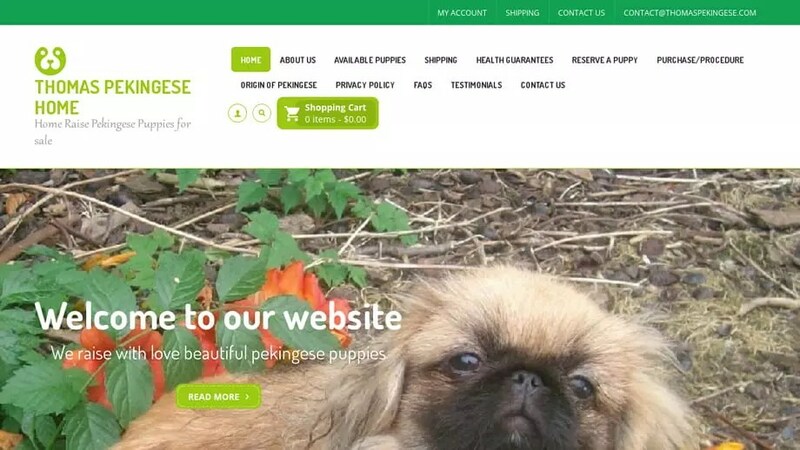 They claims to sell puppys but the domain was actually created by criminals in order to defraud people wanting to buy a pekingese. They will even send you “proof” by showing you pictures they have stolen off the internet of pekingese puppys. Thomaspekingese.com will claim to deliver the puppy using a Fraudulent Delivery company. To see more scam websites involving pekingese puppy have a look at Pekingese Puppy Scams. Thomaspekingese.com was registered on March 10, 2019 with PDR Ltd. d/b/a PublicDomainRegistry.com . Thomaspekingese.com was registered using the email address contact@privacyprotect.org. It was registered 1 month and 3 days ago on March 10, 2019 and expires March 10, 2020. To look at it another way, this “company” only started March 10, 2019 and does not plan to be using the website after March 10, 2020 as it has only a 1 year registration. Thomaspekingese.com was registered with the domain registrar PDR Ltd. d/b/a PublicDomainRegistry.com. To send an abuse report to PDR Ltd. d/b/a PublicDomainRegistry.com please click the red button below and complete the email to help shut down Thomaspekingese.com! Who ever built this website ,God Bless them! My dear friend almost got scammed by one of these websites for a expensive kitten. I wish their was one of these for kittens too as the different cat breeds can be more expensive than dogs. Kudo’s to who ever thought of this idea!